"I found my true love of conducting, while hearing Beethoven's 6th symphony at Carnegie Hall, when I was 11. I wanted to be in the middle of that sound." "I never thought of myself as anything but a musician." She is highly ambitious, incredibly energetic, visionary and always forward-looking, born with a free-thinking mind. JoAnn Falletta, the name is Italian, the blood is Italian. She is poised, sober and stylish, with the graceful gestures that make her a true conductor and communicator. At the start of her career, she was only one of two top-level female conductors. She can be an exacting presence in front of an orchestra ("As a woman I had to learn to be demanding"). She emphasizes her need to get the best out of her musicians. "I want to make the musicians feel good about themselves and make them better." 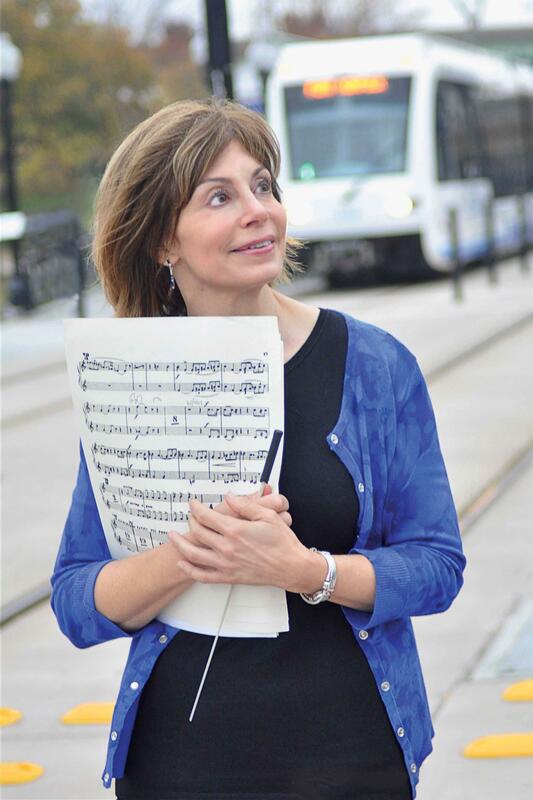 JoAnn Falletta shares the passion of the orchestras she performs with. She feels the music and the musicians and listens to their needs. 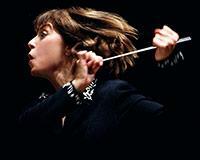 She has been described as one of the finest conductors of her generation, probably one of the most passionate ones too. Her way of expressing herself, through music or words, is that of an artist, a poet. "Performing music with an orchestra," she comments, "is like a democracy." What is her secret? "I am always trying to be a very positive person. I have a natural kind of positive energy and that has always helped me." JoAnn Falletta, internationally celebrated as a vibrant ambassador for music and an inspiring artistic leader, was born for music. "I feel very lucky to have found this true love for music, because I never varied from that path, I knew that it is what I wanted," she decisively declares. "In fact I never thought of myself as anything but a musician. I felt I was a musician, even as a child, and I was sure that I would just continue getting closer and closer to music." "I fell in love with Mozart for his perfection; with Beethoven for the architecture of his music." When she was 7 her father surprised her with a guitar as a birthday gift. JoAnn was very happy with his present, which made her realize she was to become a musician: "I am a musician. I have known that simple fact since my seventh birthday, when I wrapped my arms around the little guitar that my father gave me, when I breathed the dusky fragrance of wood and varnish, when I touched the grainy fingerboard that would become my personal road to enchantment in ecstasy. At the age of 11 she lost her heart to the works of Beethoven and shortly after that she heard the music of Mozart. JoAnn fell in love with both of them. "It was a great experience listening to Beethoven's 6th at Carnegie Hall when I was 11," she recalls. "Some years later I heard the wonderful music of Mozart for the first time. Both Mozart and Beethoven belong to my favourite composers. I conduct music by both of them. I love Mozart for his perfection, and Beethoven for his humanity. There is something of himself in his music that is so pure and open. He was obviously always composing to reach people and give them love and energy through his music. Beethoven just made powerful statements. He put love and vital energy into his music. He was a true optimist, a strong believer in the innate goodness of humankind, and that is a very positive force in music. I believe the architecture of his music is the most impressive quality of his work. The way he structured it so tightly, with such force and such integrity, astonishes me. And there is always forward momentum in this music." "Mozart created a different musical world; Beethoven was a revolutionary who pushed us into Romanticism." Beethoven has been called the second Mozart (as Lewis Lockwood noted in his book Beethoven, The Music and the Life, 2003) and he regarded Mozart as his musical God. How are these two musical giants regarded today? JoAnn Falletta can talk for hours about her musical progenitors. "They are both astonishing geniuses," she enthuses, "first Mozart, then Beethoven. Their Germanic background had a lot to do with their greatness as composers. Being close in age (Mozart was born in 1756 and Beethoven in 1770), they shared certain similarities, but they were also very different in many respects. Beethoven lived nearly three decades after Mozart's death, and the life-changing events of these years had a crucial effect on his creativity." "Beethoven was influenced by the world of Napoleon and the French Revolution and became a great revolutionary because of the world around him. He pushed us into a world of Romanticism. He did not take over Mozart's position, but continued building on the foundation Mozart had provided. I mean, Mozart was perfect in his way. Indescribable. But Beethoven lived in a different age, and his music reflected this. They are not to be compared. Beethoven is perhaps more fun, a little bit more dramatic and more extrovert. Mozart is perfect, simply perfect in the proportions of his music, in its elegance, in every single note." JoAnn Falletta can without doubt be called a great Beethoven expert. She has studied his music and his life in the course of her career. She agrees that it was a great accomplishment for Beethoven to keep on writing music despite his increasing deafness. "That is absolutely true," she affirms. "His bad hearing was a gradual process. He started losing his hearing when he was young. But it became very difficult in his forties, when he became increasingly deaf. So it was indeed a great achievement to keep on composing until a few years before his death at the age of 57." "Music is the great healer of the inner self." Beethoven lived for a long time in a womanless house, as his biographer Lewis Lockwood reported. His mother died when he was young, and he seems to have yearned for love but never to have found it completely. Composing music may have been a compensation for not finding the love of his life. JoAnn Falletta recognizes some truth in this statement. "Yes, I am sure his music was some kind of compensation. Some people excel through their own personal difficulties and Beethoven obviously excelled in music, despite the personal problems in his life. I am sure these difficulties inspired him, or helped him, to reach the highest level as he did. I must say, I believe we all have that in common. Everyone has to overcome problems and pains in his personal life. We all have personal challenges and insecurities that plague us and torture us. But we must find a way of dealing with them. If we channel the energy from that into something good, something beautiful, then we use it in a positive way." So in fact one may conclude that you use your music, your artistic career, apart from the fact that you love it and you love the musicians you work with, to heal your inner wounds? JoAnn agrees without hesitation: "Yes absolutely. Music is the great healer of the inner self. Of course I have also had my problems and I have dealt with them in my own way." "There was always the need to prove oneself as a conductor." "One of my struggles was entering a field where women had not been welcomed. That has always been the case, and remains an issue even today. But 30 years ago it was much worse: it was generally held that women should not or coluld not be conductors. So you always felt the need to prove yoursef, to try harder and to really work, work, work, to counter this belief in the outside world that women should not be doing this. People gradually accepted the idea over the years that women could be cellists and violinists, and dropped the "female" in front of this description. A female cellist is just called a cellist nowadays; that's a sign that the audience has accepted them and no longer focuses on their gender. That is a fait accompli. But it took a little longer for female conductors, I think. People were more hesitant, or maybe they had an image in their head of a conductor as an autocratic, male figure. It has taken a long time to challenge this preconception, and audiences may still be a little surprised to see a woman conducting the orchestra. But the barriers were much higher 20 years ago. I regard my musical career as an internal voyage. Many people take a long time deciding what they want to do in life. I was lucky to have found my path at a young age. But you have to have the perseverance to stick to your initial decision. My discovery of my love of music set me on the voyage towards my goal, but it still took determination to stay on the path and continue to work harder to hone my skills." The emancipation of female conductors is still a hot issue, for various reasons. The Finnish conductor Jorma Panula, the man behind the training and education of top woman conductors, said in a Finnish television interview in 2014: "Female conductors are not wanted at the highest level, because they are not capable of conducting all types of music. They might be able to handle works by Debussy, for example, but Bruckner is one step too far." And the Russian conductor Vasily Petrenko said that female conductors are undesirable "because they seem to distract the male members of the orchestra." French conductor Ariane Mathiak responded strongly to such opinions, saying: "It is ridiculous to say that women conduct differently from male conductors. Each conductor conducts with his or her whole heart and personality." JoAnn Falletta cannot help laughing about some of these male reflections on female conductors, and adds: "Maybe Petrenko is distracted by female conductors. I don't know, I just laugh when I hear such nonsense; but I know other women who get very angry when they hear such comments." Becoming a conductor ... a long and winding road. 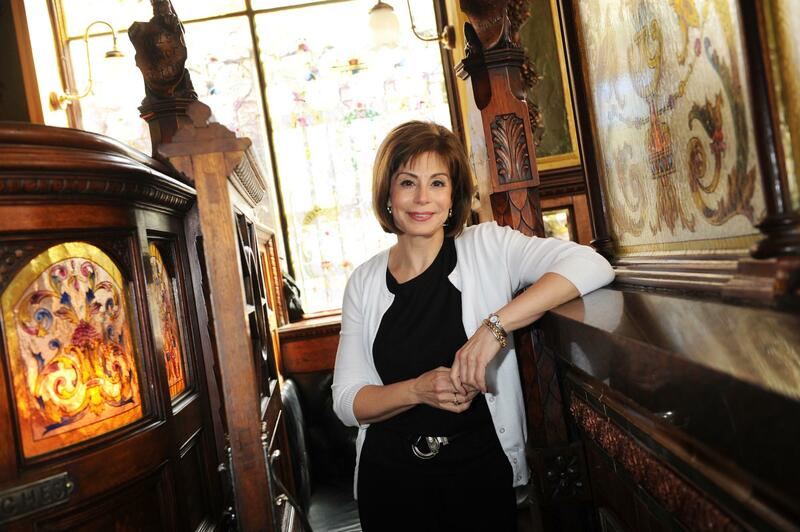 JoAnn Falletta (62) lives in Buffalo in New York State, nicknamed "The Queen City", with her husband Robert, a professional level clarinettist and a computer scientist. The couple also have another home in Norfolk, Virginia. JoAnn was born and raised in New York City with her sister LuAnn, who plays the piano. "My sister and I grew up in a musical family"
JoAnn Falletta was an accomplished guitarist who played from the age of 7. In her free time she does yoga and loves to read and write, especially poems. Apart from English and French, JoAnn speaks fluent Italian and loves Italy, where her grandparents were born, and Italian culture. "My parents were first-generation Americans," she explains. "Their parents came to the USA from Sicily at the beginning of the 20th century. My sister and I grew up in a musical family. My parents were great music lovers. I believe I inherited my passionate feelings from my Italian grandparents. My Italian background means a great deal to me. My grandparents went to live in Little Italy in New York City, a kind of ghetto. My father was a sulphur miner in Sicily, and worked as a coal miner in New Tork. My mother's parents emigrated from Naples at about the same time, also as a very young couple. My grandfather on my mother's side was a farmer but worked as a bootblack in New York. They also settled in Little Italy, which is where my parents met; but after they married they moved to Queens, another borough of New York. The atmosphere in my extended family was very happy, filled with beautiful Italian traditions, church, food, celebration, many cousins and so on. We were very close. Everyone loved music but there were no professional musicians. My father had a particularly strong of love of music and wanted me to learn it. So he gave me a guitar as a birthday surprise, a little classical guitar." "I studied in New York City, receiving my bachelor's degree from the Mannes College of Music, and my master's and doctorate from the Juilliard School," JoAnn says. She has been awarded 12 honorary doctorates. She got a double major in guitar and conducting at the Mannes School of Music, but only studied conducting at Juilliard. "I was there for six years, from 1983 till 1989. It was very interesting, very competitive. Juilliard is a school with incredibly high standards where nothing less than the best is tolerated. Tihs made it a very intense experience and an excellent challenge. I had two teachers at Juilliard, Sixten Ehrling and Jorge Mester." Sixten Ehrling was a Swedish conductor, whose long career included positions as the music director of the Royal Swedish Opera and later as the principal conductor of the Detroit Symphony Orchestra. Jorge Mester is a Mexican conductor of Hungarian ancestry. He also studied conducting at Juilliard, has served as director of Juilliard's conducting department and has concluded concerts and operas at the University of Southern California Thornton School of Music. Master Classes with Leonard Bernstein - "A very deeply emotional person." 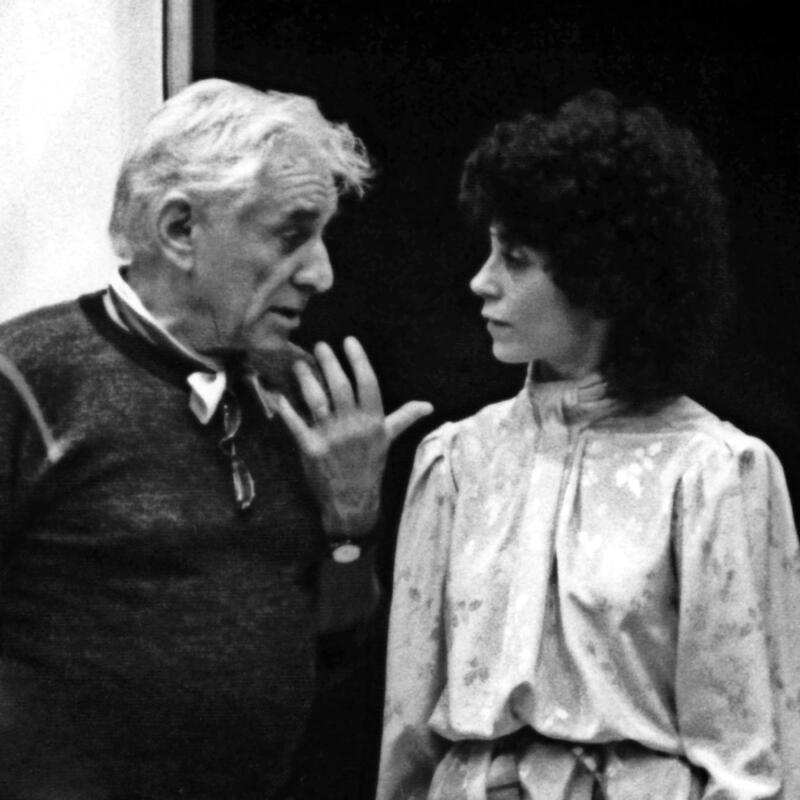 JoAnn Falletta with Leonard Bernstein. © Louis Brunelli. "Jorge Mester concentrated on technique, on actual physical conducting, body language and gestures," says JoAnn. "Sixten Ehrling focused only on the score, what each part of it meant and how to translate that into music. They complemented one another in that way. I also took a lot of master classes with Leonard Bernstein at Juilliard. I learned a tremendous amount from him, mostly about passion in music, expressivity and connection with the musicians. He is a deeply emotional person. You can tell that from the music he wrote for West Side Story. I greatly enjoyed working with Bernstein. In fact, my personal links with all my teachers was one of the main things I took away from Juilliard." "I got my first position as a conductor when I was 27 years old," JoAnn continues, "conducting the Denver Chamber Orchestra in Colorado. After that I was associate conductor with the Milwaukee Symphony, music director of the Women's Philharmonic in San Francisco, the Long Beach Symphony (also in California), the Virginia Symphony and the Buffalo Philharmonic, and principal conductor of the Ulster Orchestra in Belfast, Northern Ireland." JoAnn Falletta made her Proms debut at the Royal Albert Hall in August 2012 with the Ulster Orchestra, and conducted many of the orchestra's main programmes, selected regional concerts and other events for the 2012 season. In November 2013, she led the orchestra on a US tour with the internationally renowned flute soloist Sir James Galway. 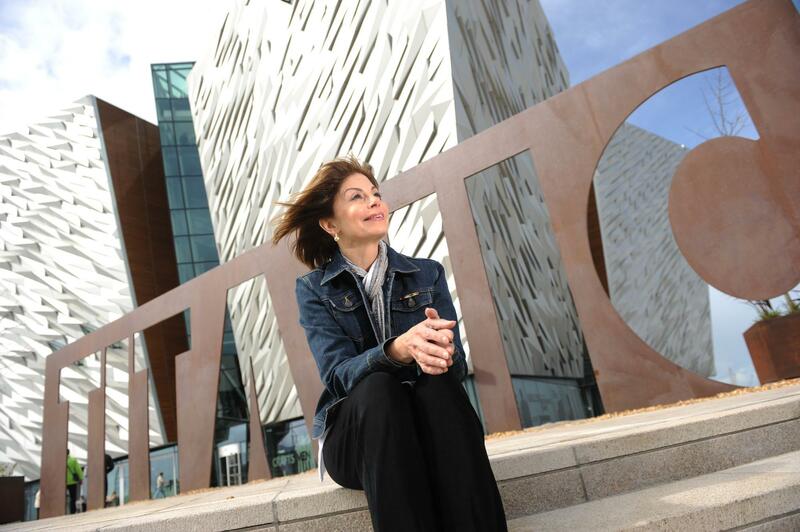 She is the first American and the first woman to have led the Ulster Orchestra. A leading conductor for the Naxos label,her discography includes over 90 titles, garnering ten Grammy nominations and two Grammy Awards. 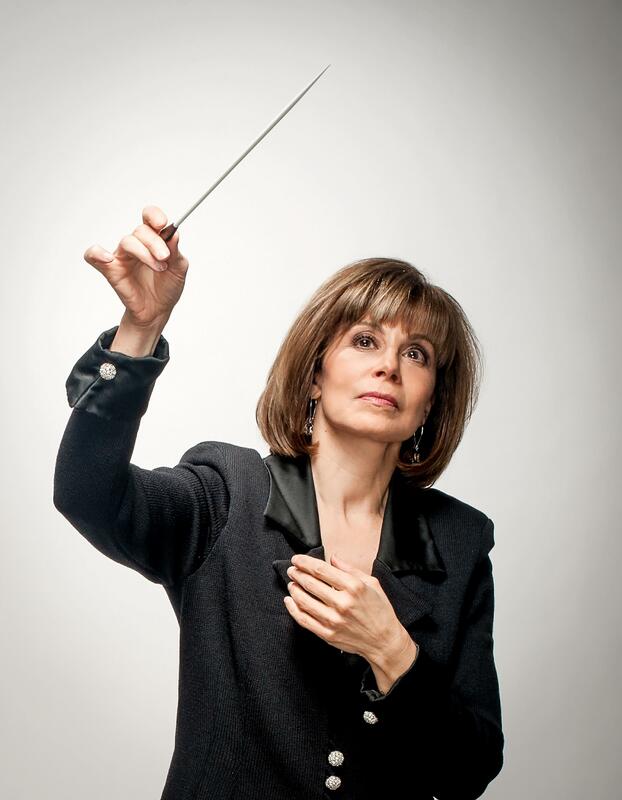 JoAnn Falletta is the recipient of many of the most prestigious conducting awards including the Seaver/National Endowment for the Arts Award for exceptionally gifted American conductors, the coveted top award in the Leopold Stokowski Conducting Competition and the Toscanini, Ditson and Bruno Walter conducting awards. She is an ardent champion of contemporary music, having introduced over 500 works by American composers, including 110 world premieres. Hailing her as a "leading force for the music of our time," the American Society of Composers, Authors and Publishers has honoured JoAnn Falletta with fifteen ASCAP awards for her creative and adventurous programming including the highly regarded John St. Edwards Award for her strong commitment to new American music programming. JoAnn served as a presidential appointee on the National Council on the Arts, the advisory body of the National Endowment for the Arts in the USA, from 2008 to 2012. 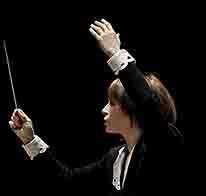 JoAnn Falletta has been conducting for almost 30 years now. The Virginia Symphony and the Buffalo Philharmonic are her major orchestras. JoAnn started with the Virginia Orchestra in 1990. "They were looking for a new music director in Virginia," she recalls, "and I had to come to an audition, which I passed. Each finalist had one week to show his or her paces. They chose me as the best match for the orchestra. I got the job at the age of 27. And I was 46 when I got the job in Buffalo." 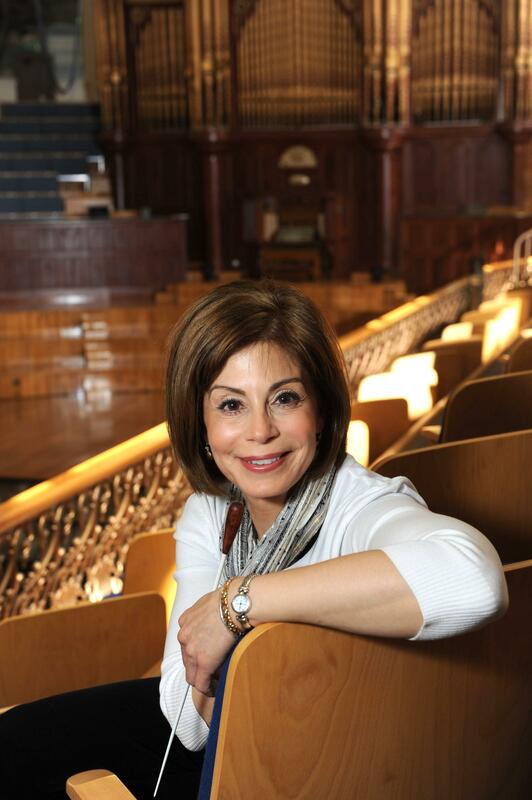 Since stepping up to the podium as Music Director of the Buffalo Philharmonic Orchestra in the fall of 1999, JoAnn Falletta has been credited with bringing the Philharmonic to a new level of national and international prominence. Under her direction, the Buffalo Philharmonic has become one of the leading orchestras for the Naxos label, earning two Grammy Awards and six Grammy nominations. Conducting two orchestras in Virginia and Buffalo. JoAnn: "I get a lot of energy out of it." Combining her jobs as conductor at the Virginia Philharmonic and the Buffalo Philharmonic is not all that easy. "It involves a lot of travelling every week," says JoAnn. "I go back and forth from one orchestra to the other, including 3 or 4 hours flying time, because they are not that close to each other. But I think I am used to it by now: I certainly learn a lot from the experience, and I get a lot of energy out of it. Both orchestras are renowned in the USA, while the Buffalo Philharmonic has built up quite a worldwide reputation through its recordings. The two orchestras have quite different styles. Of course, the musicians are different as well. I find the variety very interesting and it helps me to learn, to develop, while working with the two different sounds. And over the years it has shaped my career both musically and artistically." Beverly Kane Baker, principal viola: "She nurtured our musical soul." The musicians at the Virginia Philharmonic are all very happy to work with JoAnn and speak very highly of her. As Beverly Kane Baker, principal viola, puts it, "She nurtured us, she built us up. She challenged us musically and fostered our musical soul." Robert Cross, principal percussion and Virginia Arts Festival Director, is no less positive. "JoAnn always finds works that are new to the orchestra," he comments, "and that help us to continue to grow. Michael Daniels, principal cello, is likewise very happy with the input they get from their maestro. "One of the magical things about JoAnn is her ability to draw all the musicians into what she is feeling when she is conducting," he says. And last but not least Debra Wendells Cross, principal flute, states: "She is very flexible and gives us the freedom to have our own voce as we are playing." "It took a great deal and it still takes a great deal of dedication and commitment to be a good conductor and perform at the highest level," says JoAnn. "A conductor guides the orchestra with both hands, often differently, with the baton, with facial expressions, body language, eye contact, and of course with words, in rehearsals. We do extensive ear training and always have to listen for intonation, balance, colour and tone. After you have mastered the technique, you learn a lot by performing concerts. I think the musicians I work with have been my most important teachers, because I was able to listen to how they played and to let them tell me how I could change things. Yo also learn a lot by trial and error. It's not a fast learning process, you learn very slowly by actually working as a conductor. Apart from the technique, which is of course the basis I learned at the music schools, there is also an artistic process going on inside yourself." "There is something still mysterious about conducting"
"At a certain point, you stop thinking about the gestures, the body language, because you have incorporated them into yourself. After mastering the technique, you still have to develop as a musician, but that process is just part of life. Everything you do, every book you read, everything you learn about musicians, every piece of music you conduct, helps you to grow as a musician. One of the most important things is to have the technical basis that allows you to pass on your understanding of the score very clearly. That is how you inspire the orchestra. To play at the highest level is something indefinable. It is critical to be able to inspire the orchestra to play at the highest level as a group, to be excellent, to absorb your interpretation and to play together in that way. There is something quite mysterious about how exactly that works. It is very much a non-verbal process - especially in the concerts, of course - but you are still in very close communication with the musicians. You support them and challenge them. It's a kind of magic, I think, quite impossible to describe. Nonetheless both conductor and musicians have to trust one another. I trust the musicians, and they trust me to be there for them. I know they are fine musicians, and I trust them to be diligent, focused and able to perform at the highest level they can, and they trust me to be there with them, to support them by my gestures, to make things as easy as possible to accomplish. In the end, we really have to trust one another in a good way." "Of course, this trust must be based on long hours of study and rehearsals. In the beginning I studied at home a lot, pretending I was standing in front of an orchestra and conducting all on my own. But I don't do that anymore. When I was much younger I would practice without the orchestra, but now I spend all my time studying scores. And I am so used to standing in front of the orchestra now that I no longer need to practice my gestures." "An orchestra is like a painting with a thousand colours." 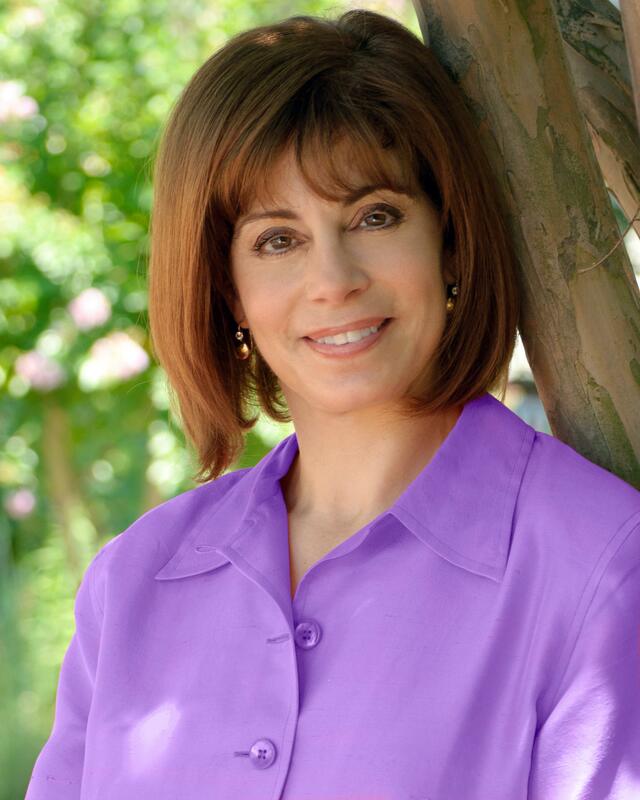 There is a painter and a poet inside JoAnn Falletta, as well as a conductor. She intuitively knows how to colour her words. Her internal artistic process doesn't stop short at music. She paints with words like a true poet: "An orchestra is like painting with a thousand colours. When a painter mixes his colours, or when the orchestra and I mix our sounds, something unbelievable happens: an emotion that can almost lift you out of your seat. I try to help people to understand the analogy between a painter's palette and the amazing pallette of sounds we produce by mixing tone colours together to create such beautiful orchestral sounds." Technique is the basis of all arts. But how about performing technically difficult pieces in an artistic way? Which things are crucial, and what body language is "forbidden" in conducting? JoAnn Falletta seems to have it all figured out. "I think the worst kind of body language is scowling at a player who has made a mistake. Unfortunately, that is all too common. Apart from that, the most common mistake that young conductors make is talking too much, trying to 'teach' the music to an already sophisticated orchestra. Unnecessary pointing out of slight mistakes that the musician would have corrected himself just embarrasses him and wastes time as well. Another mistake would be getting the orchestra to repeat a particular section again and again without explaining what changes you would like to see." "When we talk about crucial factors in conducting, I think it is inspiring to take on challenges. Some pieces are extraordinarily difficult, like Stravinsky's ballet Rite of Spring. I certainly found it almost impossible to master the technique of this piece when I was younger, but I have practiced it so often that it doesn't seem quite as difficult now. Another challenge is to play a Brahms symphony, for example, so as to bring out the full meaning. Brahms may not be so difficult technically, but expressing the piece at the deepest level is a real challenge. Again, it is a question of practice. I don't think it is a male or a female issue, it's just a question of really studying, being dedicated and hard work. I am a free thinker and open to new ideas and new interpretations of music. And I definitely like to take the orchestra's feelings and ideas on board. I listen carefully to what they are doing, that is always very interesting." 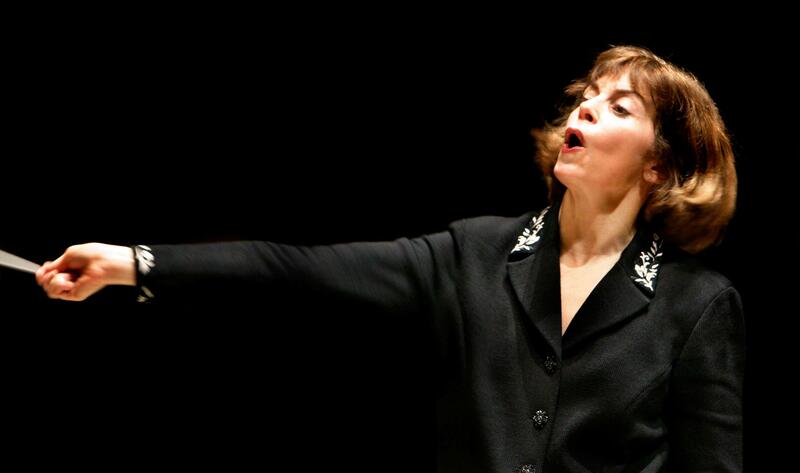 An effervescent and exuberant figure on the podium, JoAnn Falletta has been praised by The Washington Post as having “Toscanini’s tight control over ensemble, Walter’s affectionate balancing of inner voices, Stokowski’s gutsy showmanship, and a controlled frenzy worthy of Bernstein.” Acclaimed by The New York Times as “one of the finest conductors of her generation,” JoAnn seems to win more and more awards, such as the Virginia Women in History Award. The Library of Virginia has recently announced that it will honour JoAnn Falletta, along with seven other awardees—past and present—with this prestigious award, which has been created to recognize outstanding women from Virginia who have made important contributions to Virginia, the nation and the world. through the dark heart of the 20th century. in this strange and beautiful letter from the dead. 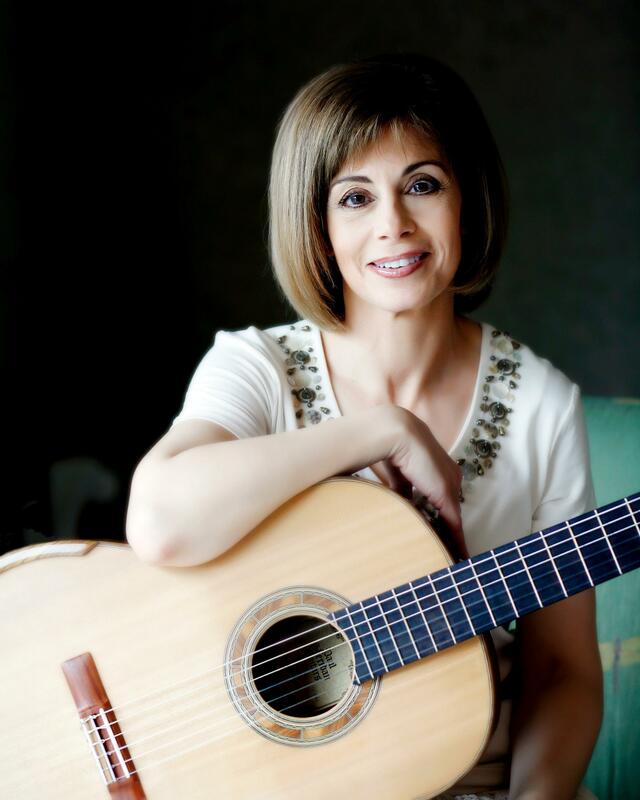 Apart from this, JoAnn set up the biennial JoAnn Falletta International Guitar Concerto Competition, which has already been held six times in the Kleinhans Music Hall, the home of the Buffalo Philharmonic (the seventh will be held in 2016). This prestigious competition gives talented young musicians the chance to perform on an international podium to advance their careers. "I set up this competition, because I love the guitar, which was my first instrument, and because I want to help young players and to encourage more orchestras to perform the wonderful repertoire that is available for guitar and orchestra."